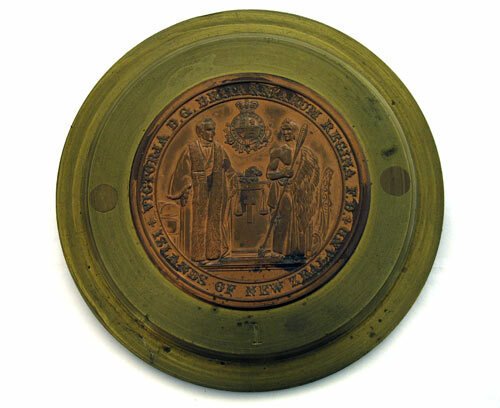 The seal introduced in 1852 was designed by Benjamin Wyon and was in use until 1881. It features a churchman on the left and a Māori chief on the right, separated by a cross and scales, representing justice. Above them is the British coat of arms.